Yesterday was quite an eventful day as I came to know Lufthansa Pilots were going on strike for 4 days and 800 flights a day have been cancelled that included my flight towards Frankfurt. After a little scrambling, I got my tickets rebooked for the next day on 26th Feb, 2010. But, news stories that Pilots may extend their strike if their demands are not met are still in back of my mind and were little troubling. It is all a Happy news finally. Pilots suspended their strike, and Lufthansa will resume its flights and get back to normal by 26th Feb, 2010. I will stick with my once altered schedule of 26th itself. If You Want To Live A Life Of Your Own, Plan less. By nature, most of us hate to fail and prefer a path of least resistance. So, we plan every thing. We plan to the deepest detail possible in order to avoid any uncertainty and surprises. And will try our best to stick to that plan. There is nothing wrong having a plan. But too much of planning will kill your creativity, because planning is quite limiting in essence. Instead, have a high level plan, like a roadmap. And leave rest of the details to the moment to reveal your creativity. Most cases, our ‘plans’ are created based on experiences of those who didn’t have one. There is nothing wrong in learning from others. But don’t dwell onto too many details upfront. Remember that ‘surprises’ are what makes a life worth living for. More over, your feelings and emotions will be genuine when you don’t have a plan. On a related note, If you want to really know a person, sail with him/her to unchartered waters. Not only each of you get to know the other person, but you will find your true self. In fact that is the essence of going on a honeymoon to a totally new place. So, if you really want to live a life of your own, plan less. Just when I thought, everything is going on as planned and was browsing happily, one headline caught me by surprise: Germany braces for Lufthansa Strike by The New York Times. I was literally shocked to read that Pilots of Lufthansa are going on strike for four days starting from 22nd Feb to 25th Feb (4 days) and about 800 flights a day will be cancelled. What was more shocking than the news itself, I have received absolutely no communication from either my Travel agent or Lufthansa about this cancellation. Here is the screenshot of that news Article that I accessed through Google News on Sunday 21st February 2010 around 8AM in the morning. So, I browsed more stories on the web, went to Lufthansa website. They left a note on their website and included a list of flights they will be operating in these 4 days. I checked the listing, and my flight wasn’t included. So its now official that my flight got cancelled too. Just to make sure, I checked my bookings page on Lufthansa website and it shows confirmations for all legs except for the first leg towards Frankfurt on 25th Feb. I immediately called up Lufthansa. After about 20 minutes wait, the Travel agent started talking like nothing has ever happened and confirming all other legs that were already confirmed and didn’t even say a word about the cancelled leg. When I asked about that, he said, he may have to rebook on a different carrier as that flight was cancelled. He tried on Etihaad but no luck. Then he confirmed on a flight next day, the 26th Feb, 2010. In the next few minutes, I called up and rescheduled my hotel and flight bookings back home. Whew! At least, the disruption is just for a day. Microsoft’s Augmented Reality in Bing Maps (Windows Live Maps). Going beyond the street view. Crowd sourced Photographs, photographs through the timeline and augmenting real time video, awesome. And if you just look up in the sky, you can all constellations in that space at that time. Wonderful. Indiatimes (that includes famous Times of india) reaches 8 times more visitors (810,042) and grew at 20% in 2009 compared to NDTV.com that reaches only 106,530 and has lost 33% in 2009. Times of India and India Times are also the top two keywords searched in 2009, mostly because nobody remember the exact URLs. BanyanTree is a group of friends that hang around once a month to discuss a variety of topics of interest. I would like to share some notes and ideas from those meetings. Nevertheless I love to look at questionnaires and seriously answer them in writing, as they will help consolidate our own understanding of a topic and clarify our positions. Here is the questionnaire and my answers to each of those questions. The questionnaire must be looked at in context with the discussion to see why and how those questions matter. However, the questionnaire still stands a good chance on its own, in getting clarity on how you invest. Thank you Harish for sharing the questionnaire and allowing me to publish it on my blog. Do you think that stock market is risky or it is in a way gambling? 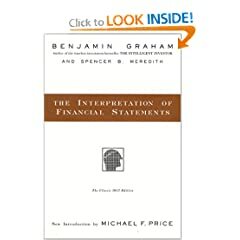 Most investments (whether they are made in the stock market or elsewhere) are by nature have an inherent risk in it, as there is an element of expectation in each investment. Essentially we are trying to predict a favorable outcome and invest, so in a way it can be considered as a gambling activity as other outcomes are always a possibility and you have no control on any of those outcomes. What is the most important criteria in your analysis for buying a stock? Prefer solid fundamentals and potential for an upward market swing for established stocks. I also focus on startups and smaller businesses where potential for an upswing becomes the major factor rather than sound fundamentals. If there is no stock price quote (ticker) available for the stocks you buy would you feel comfortable holding the stocks for a year or two? Stock price is very important factor in all investment decisions (Buy or Sell), and I won’t be comfortable without a stock price for a longer period of time (no more than a week). The investment in stock is only worth what the market is ready to pay and one quarter can change a lot particularly if there are any significant directional changes by the company or market in which it operates itself change. What is most important criteria in your view of a sound business? Differs for established and startups. For established, it is again solid fundamentals and potential for an upward market swing. For startups, it is about the size of the opportunity and potential for a given startup in that market. What is your upper bound for P/E ratio when you buy a stock? P/E is normally not a significant factor in my decision. For instance Google P/E is around 35, is still one of my favorites for some time. 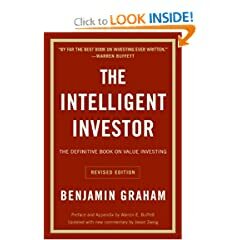 Do you ever purchase a stock which did not come as recommendation from TV, News, Friend, analysts? I never made a decision myself alone (except when I am swing trading). I discuss at least with one other friend before I make any decision. I don’t research for stocks using TV, news, magazines or exclusive financial sites like WSJ. Do you attempt to read the annual reports of the company you purchase stock for? Not really. I prefer reports that are summarized in easily understandable 3 to 4 parameters (and sometimes on top, purchase some analysis on those annual reports) than trying to decipher all of them myself. I stumbled upon eggSunday on LinkedIn and I fell in love with the concept of eggSunday. And the way they brought the concept to life is equally admirable and scrumptious. Egg sunday or eggs unday was born out of a vision shared by two entrepreneurs who just loved eggs. Eggsunday is a food court brand that serves simply mouth watering varieties of egg dishes competitively priced and with new recipes added every month. The first outlet is located at a Food court on Mumbai - Pune highway. Why Obama’s Small Business Plan Came So Late? Wondering why it took more than a year for Obama’s administration to come up with a plan for Small Businesses, when they constitute 99% of all employers. Its a wonderful talk. Most of our current problems can be solved just by changing our behavior instead of waiting for that great new technology. Its not that people don’t know what is good for them, but they are not compelled to take any action. Marketing can sure help. Every now and then I get curious about what Indians are searching for on the internet and go to Google to have a look. This time, I am totally surprised to see that Manipur tops in number of searches beating all other IT curious states. The following screenshot lists out top 10 keywords originated from India in 2009. Note that these key words are not exactly what is being searched for, but these key words are part of searches. For instance, ‘India’ is part of the following searches that tops the list. News Papers top the list, compared to 'movie stars’ last time I looked at this kind of data. This doesn’t surprise me at all, the next most searched for is a place to access, play and download songs. This is totally surprising to me, that Manipur tops the list beating those IT curious states in keywords related to India. Andhra Pradesh is not even in the top 10. What are you searching for on Google? Share you thoughts. How Many People Ever Lived on Earth? This number was estimated in 2002 since then we must have added another 720M people to the earth. And when it comes to density of population, India is one of the most densely populated. About 400 people per a square Kilometer. Compare it with USA’s rate of just 34 and China’s 141 to put that number in context. That's right. American Prime time TV will have two shows with and about Indians and Indian Americans. The two comedies -- "Nirvana" at Fox and "Outsourced" at NBC -- have something else in common: They both are ensemble shows about Indians and Indian-Americans. You might have already spotted Anil Kapoor in the new “24” season. I wondered last night why NDTV.com is so desperate? Desperate enough to put Advertisements right on top of content and those ads won’t let you read content unless you click on them. This morning, out of curiosity I checked how NDTV.com is doing by looking at traffic on the site at Compete. And this graph may explain the desperation. Unique visitors to NDTV.com dropped by 40% in 2009. However, the site was able to maintain number of page views more or less the same. So, it sounds little obvious that as they are loosing on unique visitors, they may want to monetize those still visiting and make up for the difference. May be! Or that Ads on top of content may be just a bug. Hopefully.